Win and win again right? The A League has existed for six years and in that time we have seen four different winners. Sydney FC and Melbourne Victory having won it twice, Newcastle Jets and Brisbane Roar one apiece. 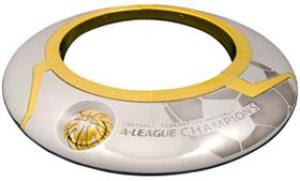 No team in the short history of the A-League has one back-to-back titles. Whilst this may point to the egalitarian nature of Australian sport where salary cap restrictions, foreign player quotas and a competitive sporting market beyond the world game restrict outlandish spending it also restricts the ability for clubs to become 'super clubs' like those seen in Europe. Is this restricting the growth of the A-league? When a Championship or Premiership team starts their title defence the team barely resembles the winning one that preceded it. The title defence often stalls before it has a chance to begin. Fans that rejoiced in the previous year's triumphs are often left pondering why the previous team is so different to the successful one from the season before. To reflect on this let's have a look at where the championship winners and runners of the A-League to date. Only Melbourne Victory has played in consecutive finals but no won has won back-to-back. Whilst we cannot always copy other sports, industry best practices should definitely be observed and even built upon by the A-league clubs. There is no reason that teams cannot build upon previous successful campaigns and be successful over an extended period. The AFL has the same restrictions in terms of a salary cap as the A-League but has one further leveller, the AFL draft. The draft somewhat rewards mediocrity by giving lower finishing teams a chance to draft the best young talent in the country and yet even with these restrictions teams do have long periods of success. Collingwood and Geelong are recent examples, West Coast and Sydney in the mid-2000's and the Brisbane Lions won three Premierships in a row at the start of the decade. Why and how have they maintained their successes? Well, Eddie McGuire may not be everyone's favorite person but he has been brilliant in his role as Collingwood President. The introduction of major sponsors such as Emirates, Armani suited players and a burgeoning and historic membership of over 71,000 people helps the off-field departments be successful which has also translated to on-field success. The extra money that Collingwood generates can not buy extra players but allows for first rate training facilities at the Lexus centre which is shared with the Victorian Institute of Sport. The major area that the club benefits is in the incredible number of support staff for the club. Collingwood employs 80 people at the football club of which an incredible 31 members are dedicated to the club's football department. Compare this to the reigning 2010/11 Championship/Premiership winning team, the Brisbane Roar, who have 6 members dedicated to their football department. Many of the AFL clubs also have stability in their management ranks, the A-League by contrast have had many managers in the League's first 6 years. The longest serving manager, Ernie Merrick, was sacked after almost 6 years in charge of Melbourne Victory. In further contrast, Manchester United's Manager Sir Alex Ferguson and Arsenal's manager Arsene Wenger have been in charge of their extremely successful clubs for 25 years and 15 years respectively. Obviously our league is not as old, but stability is a key to successful teams. In the long run grounds will have to be considered by clubs. Marquee size stadiums such as Melbourne's AAMI park will allow for expenses to be curtailed and even allow for profits for the Melbourne clubs but long term profits will allow for individual club stadiums to be at least considered. This will give the clubs greater control of expenses incurred on game days. These are financial issues but success on the field may mean that players have to consider the success of their club over being the highest paid player in the squad. In effect sacrificing financial gains for team success is highly unlikely but is required by championship winning and consistent teams. For teams to have continuous success, stability, transparency and vision are essential. It starts at the top and must transcend and ascend through every level of the club. Learning from history means that history CAN repeat!